Doctors Paul and Kim Jordan are struggling to find peace in their lives after the tragic loss of their baby's life. 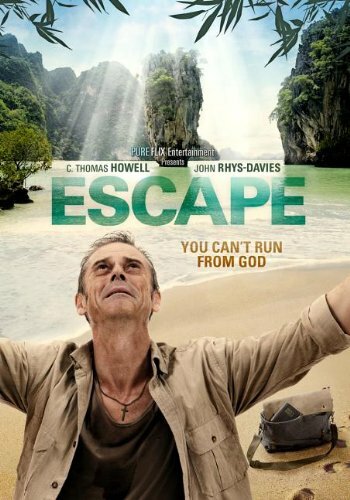 Paul (C. Thomas Howell from The Amazing Spider Man, ET) persuades Kim to escape reality and flee to the exquisite islands of Southeast Asia. Paradise becomes a nightmare when he is kidnapped by human traffickers in need of a skilled doctor. Faced with a fight for survival, Paul finds himself captive alongside the wealthy Malcolm Andrews (John Rhys-Davies from Indiana Jones, Lord of the Rings). He quickly realizes there is no hope for his captors dying leader and is forced to examine his eternal fate. With life and death in the balance, Malcolm challenges Paul to stop running from God. Will Paul realize that trust in God is his only hope for escape and reunion with his wife?